ACULAR LS ™ (Ketorolac tromethamine ophthalmic solution 0.4%) is a member of the pyrrole group of nonsteroidal anti-inflammatory drugs (NSAIDs) for ophthalmic use. The recommended dose of ACULAR LS ™ ophthalmic solution is one drop four times a day. ACUVAIL™ ophthalmic solution is indicated for the relief of ocular itching due to seasonal allergic conjunctivitis. It is also indicated for the prophylaxis and relief of post-operative ocular inflammation. Ketorolac Tromethamine	(0.4%) / Purified Water IP q.s. 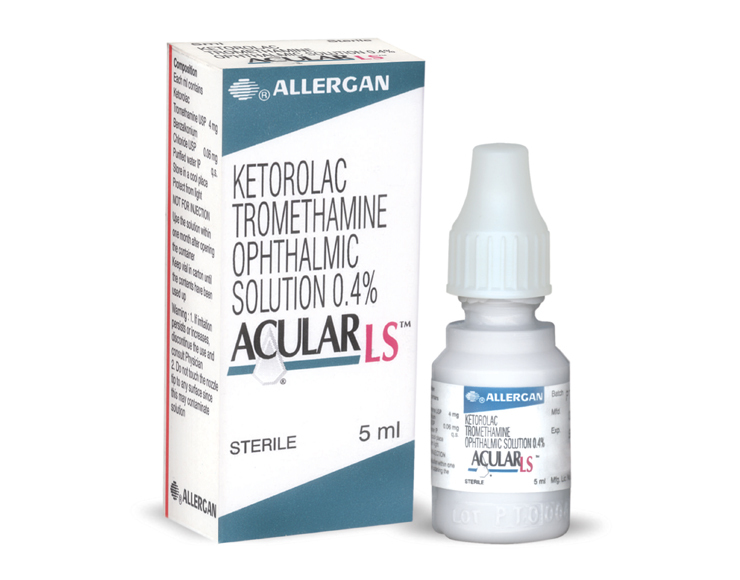 ACUVAIL™ (Ketorolac tromethamine ophthalmic solution 0.4%) is supplied sterile in a 5 mL plastic dropper bottles.